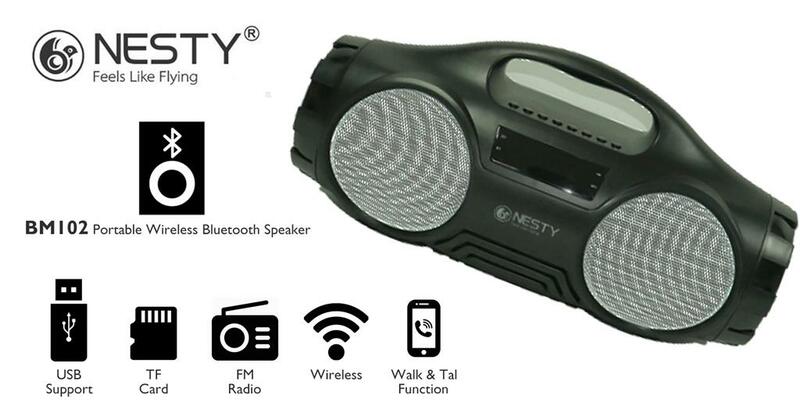 Turn the music up and listen to your favourite tunes in style with this fantastic range of Nesty Bm101 Portable 2-in-1 Wireless Bluetooth Speaker with FM Radio and Built In Rechargeable Battery. 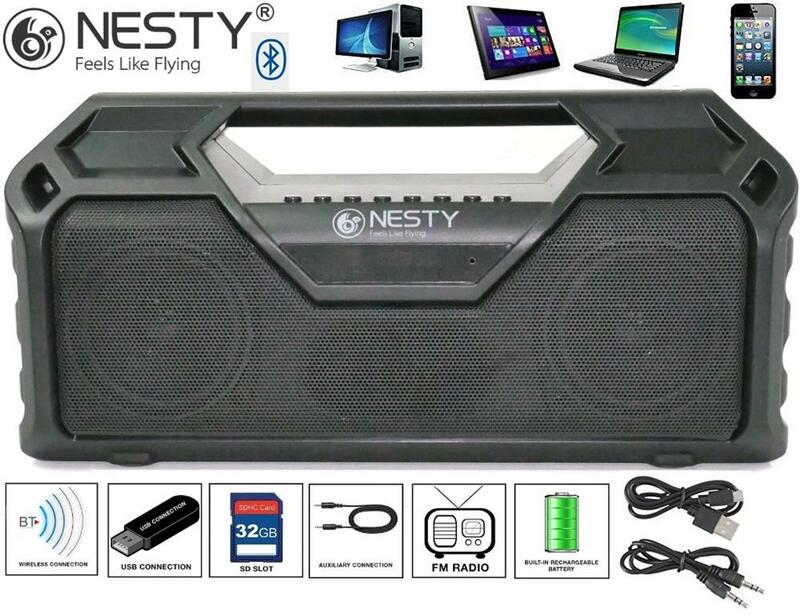 Stream music, adjust volume and change tracks from Bluetooth enabled devices Works with iPhone, Android, Smartphone, iPad and computer with a wireless range of up to 10 metres from the source to enhance the mood at your party and play any kind of music you love. 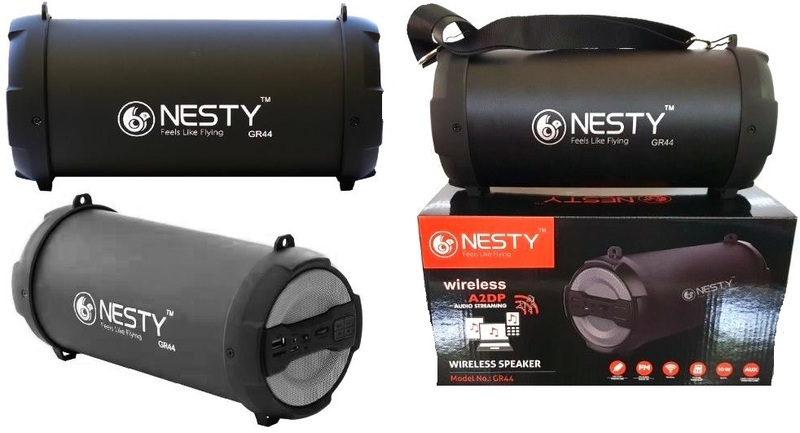 Turn the music up and listen to your favourite tunes in style with this fantastic range of Nesty Portable Wireless Bluetooth Medium size Tube Speakers with Built In Rechargeable Battery. 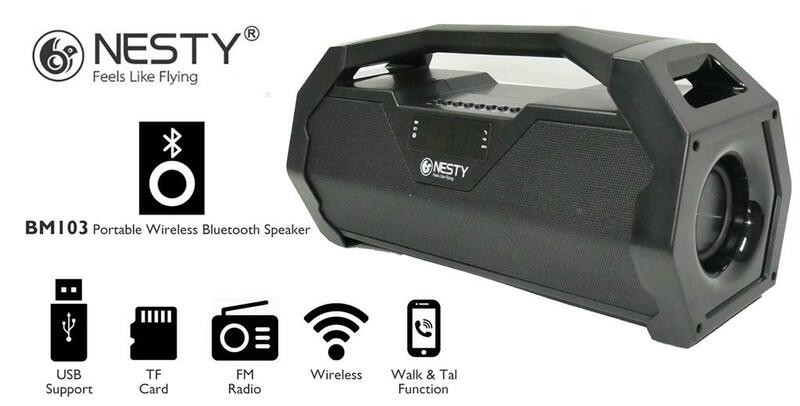 Connect your MP3 player, Smartphone or tablet wirelessly or simply use the 3.5 mm Aux. 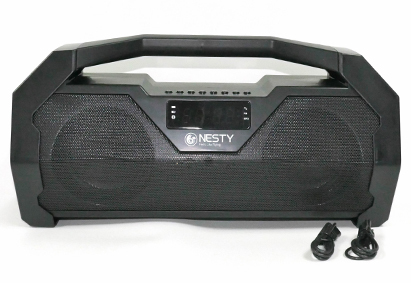 stereo jack with cable and enjoy great music instantly. 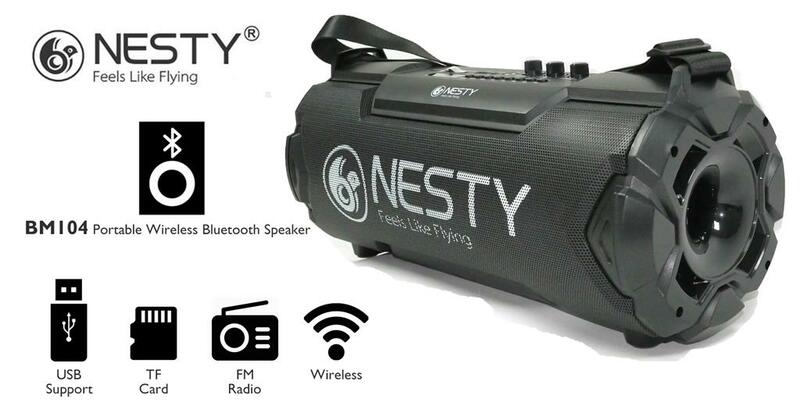 The Nesty Bluetooth speaker features A2DP audio streaming for you to listen to hours of uninterrupted music with premium audio reproduction up to 10 metres from the source . 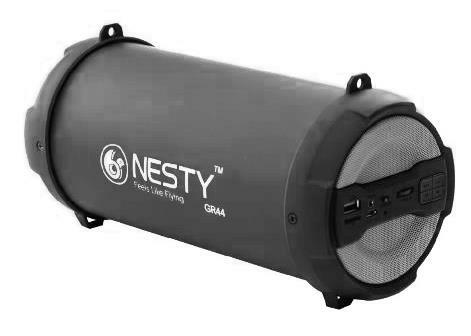 With modern styling and a rechargeable battery, you can carry this great looking speaker with you and enjoy brilliant sounding wireless music wherever you are. 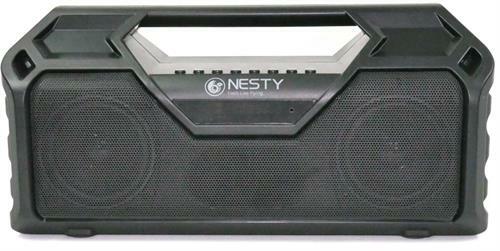 • With Shoulder Strap for easy to take out. 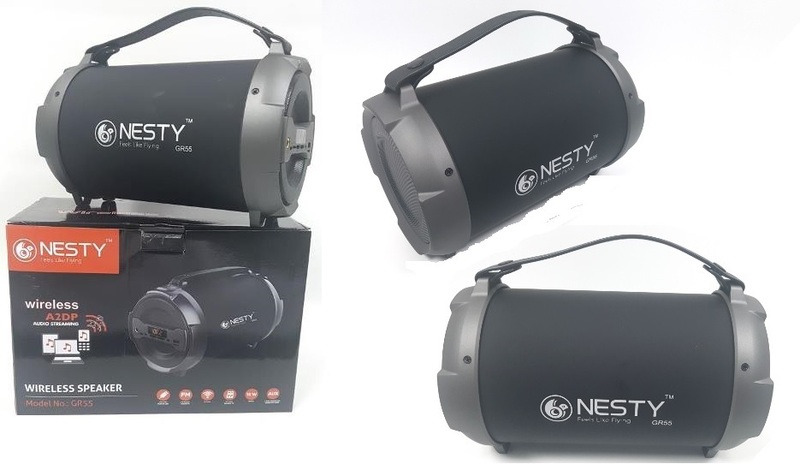 Turn the music up and listen to your favourite tunes in style with this fantastic range of Nesty Portable Wireless Bluetooth Small Tube Speakers with Built In Rechargeable Battery. Connect your MP3 player, Smartphone or tablet wirelessly or simply use the 3.5 mm Aux. 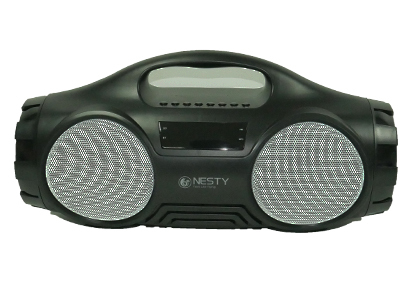 stereo jack with cable and enjoy great music instantly. 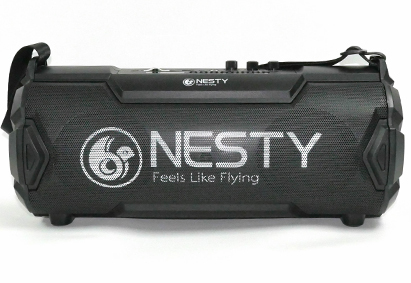 The Nesty Bluetooth speaker features A2DP audio streaming for you to listen to hours of uninterrupted music with premium audio reproduction up to 10 metres from the source . 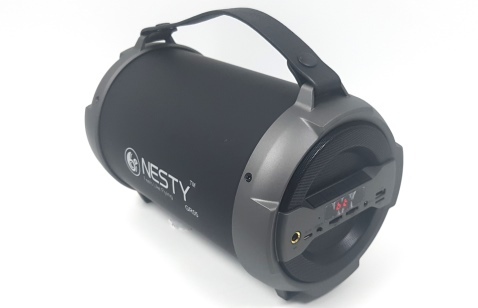 With modern styling and a rechargeable battery, you can carry this great looking speaker with you and enjoy brilliant sounding wireless music wherever you are. • With Lanyard strap, easy to take out.